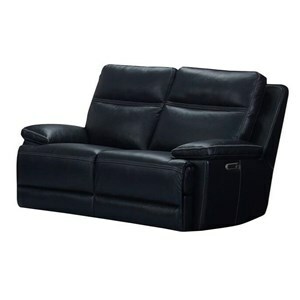 Relax in comfort and style with this power reclining sofa, which includes all the latest features in motion technology. The Paxton Dual Reclining Sofa with Power Headrest and USB Port by Parker Living at Hudson's Furniture in the Tampa, St Petersburg, Orlando, Ormond Beach & Sarasota Florida area. Product availability may vary. Contact us for the most current availability on this product. 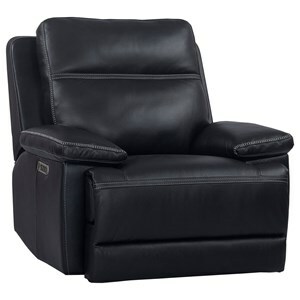 Recliner Mechanism Parker switch includes power seat, power headrest controls, and power lumbar controls with home button and on/off USB port. Padding & Ergonomics 2.0 density foam gives superior, soft seating. 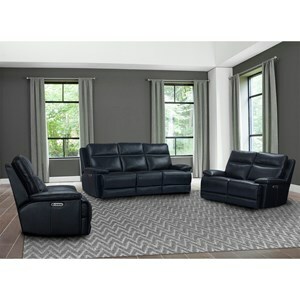 Create a comfortable and stylish space in your home with this power reclining living room collection. Match leather upholstery gives you high-quality durability where it matters, while features such as power adjustable headrests and lumbar support allow you to maximize your comfort. The Paxton collection is a great option if you are looking for Casual furniture in the Tampa, St Petersburg, Orlando, Ormond Beach & Sarasota Florida area. Browse other items in the Paxton collection from Hudson's Furniture in the Tampa, St Petersburg, Orlando, Ormond Beach & Sarasota Florida area.